(Newser) – The man who invented LSD hoped his archive would inspire future generations of researchers, but just about the only person using it is a Swiss dairy farmer who's writing about hallucinogens in his spare time, the Wall Street Journal reports in a look at the "long, strange trip" of Albert Hofmann's papers. 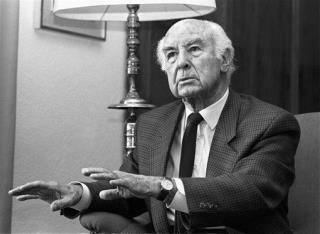 In the years before the famous chemist died at the age of 102, the archive spent years with the now-defunct Albert Hofmann Foundation in California. After his death, it was returned to Switzerland, where his family couldn't find funding to have it placed in a new research center and were alarmed by some of the LSD enthusiasts who had started making pilgrimages to his home, the Journal reports. Those LSD hippies never hurt anyone. I think we should convert the PCP, meth, crank, ice, coke, blow, k2, and spice users to LSD. Hey, some Pink Floyd and a few rubber hands stuck to the wall and they are good to go. We all know it's there, like any library book.